Our Mustang group was created by a group of men and women who share the same passion. We do not discriminate nor do we judge. All Mustang models are welcomed and encouraged to join. We do not charge any fee's seeing we are just a club to express our love for Mustangs. We do push for our club memebers to be as active as they can and join us in our meets. We will post frequently new events and shows coming up in out event page so go check that out and dont miss out! Follow on facebook for a chance to have your car featured as our website photo to your left! In 2014, the newly redesigned 2015 Mustang GT convertible was taken in pieces up a freight elevator to the top of the Empire State Building and then assembled high in the sky, commemorating the marque’s return to the city that started it all when the ‘Stang debuted at the World’s Fair there 50 years prior. 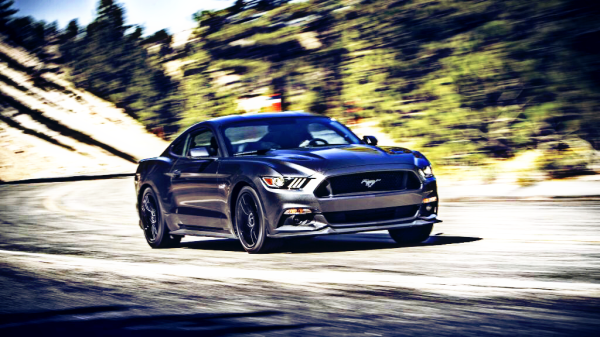 Quickly nicknamed the “Pony,” the Mustang name has a surprisingly complicated history. According to designer John Najjar, he suggested the name Mustang after the World War II P-51 Mustang fighter plane. That was rejected because it was too "airplaney," so he pitched the name again as a type of horse, and everyone loved it.